Searching for a new Nissan to infuse life into your time on the road? Test-drive some of our most popular models like the new Nissan Altima and Nissan Murano. Looking for a high-quality vehicle that fits nicely in your budget? Slide into one of the used Nissan models on our lot to experience the impressive engineering of vehicles like the Nissan Rogue and Nissan Juke. Once you decide on the perfect Nissan car, truck, van or SUV for you, our Nissan finance professionals will help you find an auto lease or loan that works for you. Plus, our Nissan service and Nissan parts departments will be here to support you and your vehicle for years to come. Come to our dealership when it’s time for auto repairs and maintenance, whether you need new genuine Nissan parts or express service like an oil change or tire rotation. 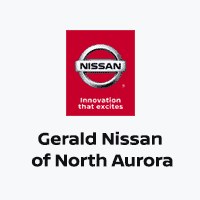 Our dealership is located at 213 Hansen Boulevard in North Aurora, IL, making us easily accessible from nearby towns like Aurora, Batavia and St. Charles. Feel free to stop by, schedule a test-drive or set up a service appointment and meet our team!